The Ten Commandments to fly abroad with a dog. 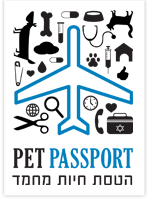 Flying with Your Pet: what are the things you must or mustn't do in order to go fly with your dog or cat successfully. Ten things you should know before flying abroad with your dog. The Ten Commandments to fly abroad with a cat. Flying with a Cat: ten things you should know before flying with your cat abroad.